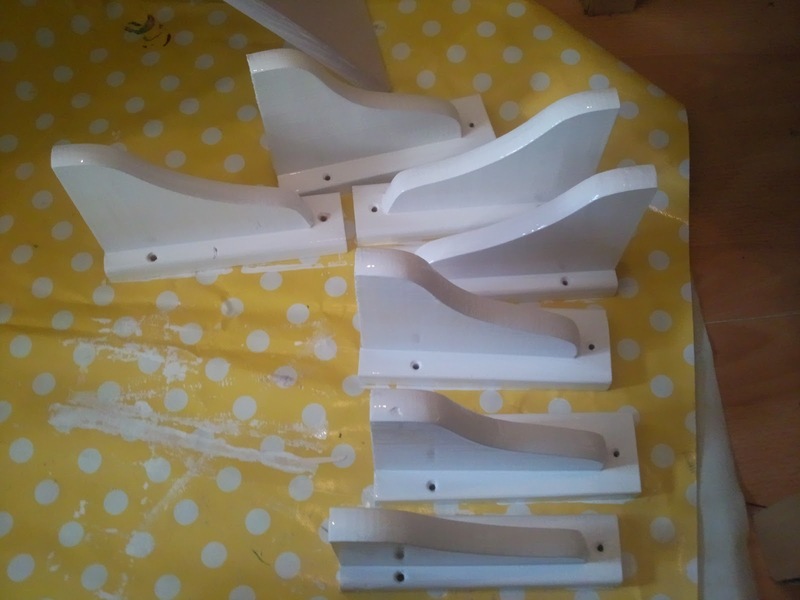 I’ve spent the day sanding wood then painting it all white; 1 large and 1 medium bookcase, 2 large shelves, 1 medium and 2 small shelves and all the brackets. I thought I’d finished but I forgot one item of furniture so I’ll have to get the gloss out again tomorrow. I don’t usually mind glossing but I have to admit I’ve had enough of it today and was looking forward to putting the gloss away and getting the emulsion out! … and it's going to look brilliant. I can't wait to get back to see it finished.